I’m Dr. Nandita Iyer. Welcome to my blog, where I simplify healthy eating for you. Easy and quick, with a reasonably short list of easily available ingredients, these are the kind of recipes you’ll find on my blog. I also share with you my thoughts on nutrition, healthy eating and mindfulness. I hope my blog helps you in a small way to eat and live healthier ♥. 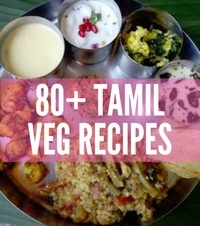 While you are here, do check out my new cookbook – The Everyday Healthy Vegetarian. 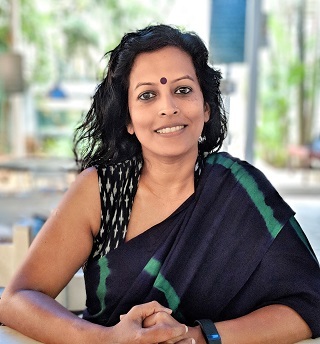 Trained as a medical doctor with a specialisation in nutrition, Nandita Iyer is a well published writer and columnist. Her food blog, Saffron Trail, is where she shares her food thoughts and recipes, since 2006. 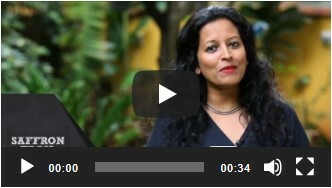 She has also worked with Ogilvy Healthcare (Mumbai) as a strategy planner. 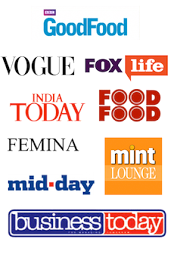 Her work has appeared in Men’s Health, Mint, BBC Good Food, Femina, DNA, Complete Wellbeing, Mother Baby, Yowoto.com among others. She writes on health, nutrition and food. She also does social media activation programs for food / nutrition / healthcare brands. As an extension to her blog, she launched her YouTube food channel in 2014 – Saffron Trail Kitchen, showcasing healthy vegetarian cooking. 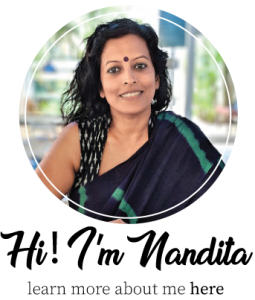 She conducts culinary workshops for individuals and corporates, focussing on nutrition and healthy cooking. She has lived in Bombay, US, Hyderabad and currently based in Bangalore. Other than nutrition and writing, she enjoys getting her hands dirty in the kitchen garden.